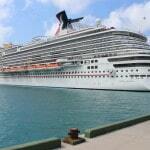 The Carnival Breeze – one of Carnival Cruise Line’s newest ships is a grand, beautiful vessel. 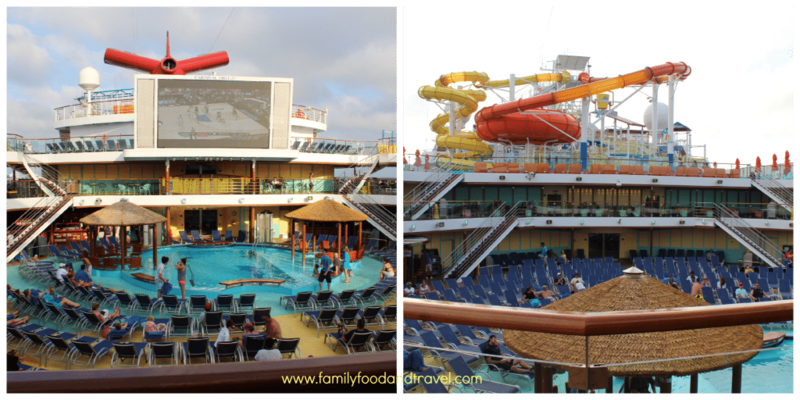 We cruised in March on the Carnival Breeze and were in awe of its fun, modern, bright, and comfortable. A magnificent ship that can hold 3690 passengers, 1386 crew and measures an astounding 1006 feet! My husband loved the new George Lopez Punchliner Comedy Club and we all attended the Punchliner Brunch with great food and a few laughs. 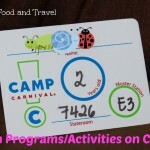 We loved being able to take our kids to Camp Carnival so that my husband and I could enjoy some time together and do a few things the kids can’t do (like suntan!). Carnival’s kids programs offer options for 2-17 year olds. We felt safe and secure with their procedures and appreciated that they gave us a cell phone to carry when our kids were there. If there was a problem, or the kids needed us, they would just give us a call. The boys loved the women that worked there and had so much fun doing the activities, watching movies and making crafts. 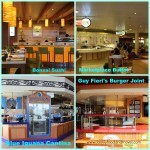 The open decks on the Carnival Breeze have tons of fun things to do. From Waterworks, to the first high ropes course at sea, to the pools and hot tubs, there is lots to do, and tons of open space to enjoy the fresh air. Like all cruise ships lounge chairs are at a premium. But, I was really happy to see deck staff keeping an eye on people ‘reserving’ chairs. If not attended within 40 minutes, the chairs would be released to another guest. 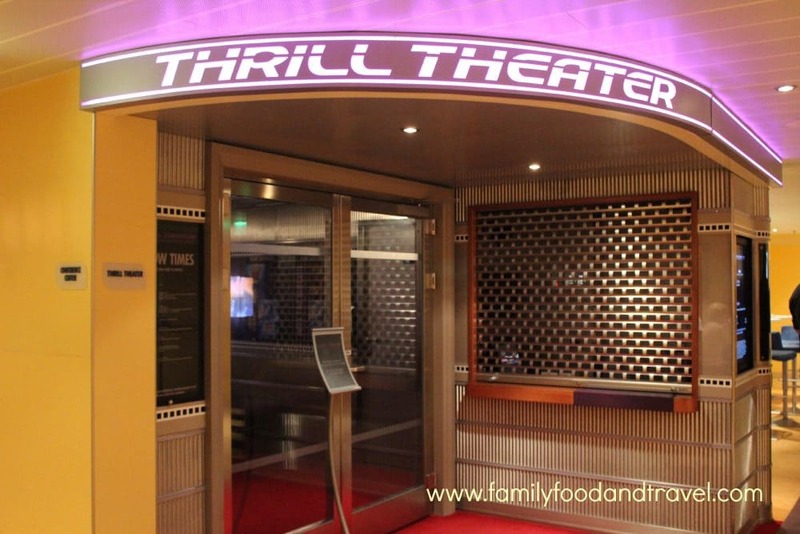 While we didn’t take our boys (since they are only 3) we did try out the Thrill Theatre – Carnival’s 4D Theatre – a really cool experience! 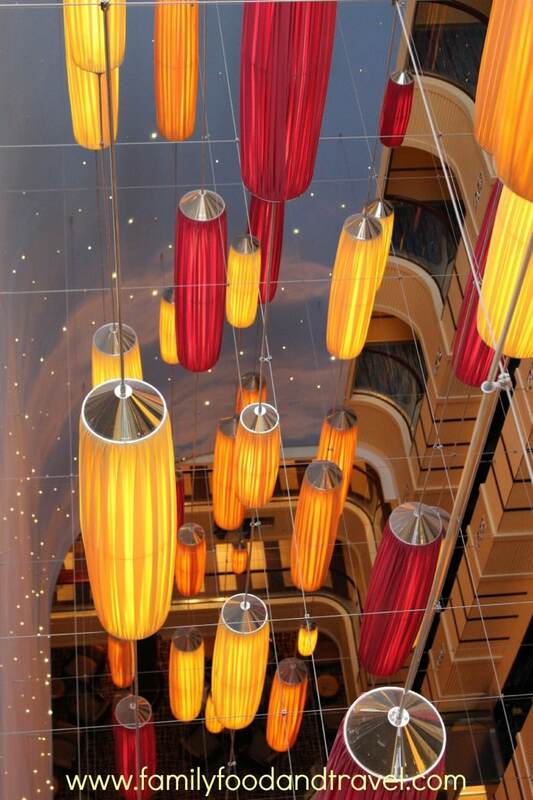 One of our boys favorite parts of the ship were the glass elevators in the atrium with these beautiful lanterns stretching more than 11 floors. The twinkling lights on the walls gave the effect of stars glinting in the night sky. My favorite part of the Carnival Breeze? Cruising with my family. So many fantastic memories were made on this ship. I cannot wait to go back! Looking to read more of our cruising adventures and tips? Check out some of my other posts. 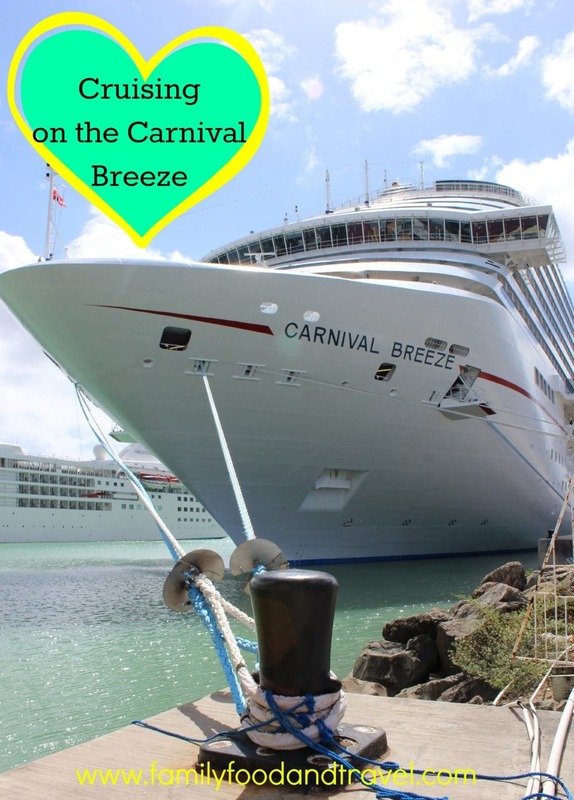 Have you been onboard the Carnival Breeze? What did you think? A cruise is something on my bucket list. Your pictures show just how stunning it is, WOW! Glad you had such a great time! That looks so beautiful but I’m too scared! lol! I get motion sickness really easy so I can only imagine! plus hello!?!? Titanic! I know I could get run over crossing the street but my fear makes me admire from afar! Sorry to hear you get motion sick. I have never experienced that before. As for the fear factor – cruising is so safe. I have been on more than 10 cruises and think they are amazing vessels. I used to work on cruise ships and Jenny let me tell you, the motion sickness is easy to be treated with ginger ale soda, just drink one a day. Is safe,delicious and cheap!!!! I’ve never been on a cruise. That ship looks amazing! I love cruising and I have only been on a Carnival ship once – back in the 90s. 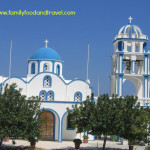 It looks a lot different now and definitely on my list of cruise lines to go on with the kids one day! You would love it Cheryl! Guaranteed! I definitely would love to go on a cruise. :) Though I am kinda afraid to, this one looks really great! I’ve never been on a cruise, and I’m not really sure why. I can’t believe all that is available to do… on a ship! It’s crazy! I love cruising! I’ve done it twice. One on a Carnival ship, can’t remember which ship, and the other on the Norwegian Star. I want to do it again! Can I ask how old your kids are? I’m not sure I’d like to cruise with a child under 2. I’ve never been on a cruise, but this sounds like a perfect way to have a vacation. I am so excited to read this Kerrie!! I booked a Carnival cruise for my entire family for right after Christmas!! We will be cruising New Year’s Eve!! It’s our first ever cruise and I am thrilled to be able to go with my family. We need a vacation and I think my kids will love it. I am reading your posts about cruising now and making sure I am informed! Thank you Paula! I’m glad that it helped. I have cruise many times. If you have any questions don’t hesitate to send me an email. A cruise truly seems to be an event that you will always remember for the rest of your life. I know one day I will have to take one for sure. Interesting! I’ve never been on a cruise-thanks for this article!